As you consider your test options, don’t forget that some jobs prefer a specific score. When you’re considering an MBA program for a specific career path, it’s good to know what the recruiting landscape looks like. Be sure to educate yourself on choosing a test for your career search before starting your test prep. It’s true, some Executive MBA candidates can waive their exam requirement. 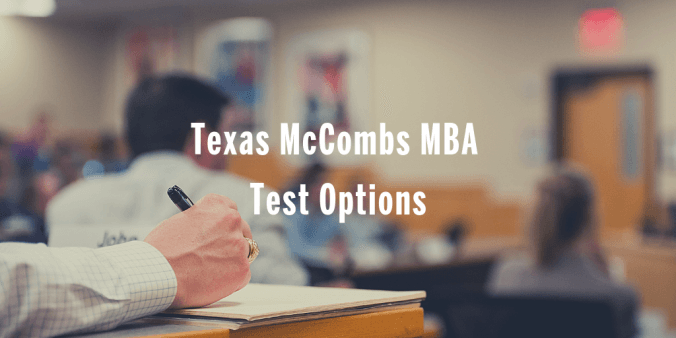 The Executive MBA program is the only one that allows candidates to petition to waive the exam altogether. 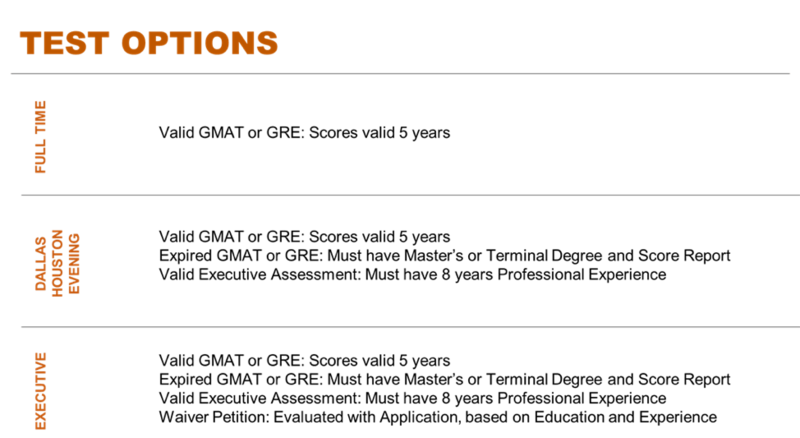 Candidates use the Optional Essay to explain why they do not need an exam, and the committee evaluates each waiver petition in the context of the entire application. Essentially, we’re looking elsewhere for information that the test would convey. Our best advice to Executive MBA candidates: You must have at least 8 years of work experience to apply, but Executive MBAs have an average of over 14 years experience. If you have below this average and solely a bachelor’s degree, plan to submit the EA. We wish you the best completing your application. Hook ’em!